Convert TIFF to PDF files in batch! The TIFF file format is undoubtedly used widely in industries related to graphics editing, faxing and printing. But there are times when you might want to access the image in a more portable and standard format like PDF. So how can you convert your TIFF file into PDF? Problematic and chaotic task ahead? Not at all! 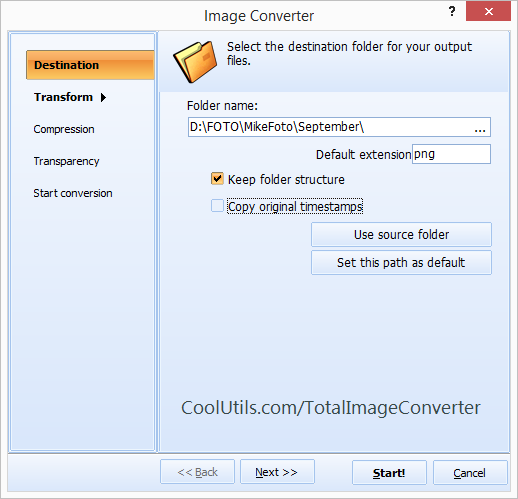 Simply seek the services of Total Image Converter from CoolUtils and easily convert TIFF to PDF in batch. This TIFF PDF Converter from the house of CoolUtils is not an ordinary one. Packed with some out of the box features, the batch image converter is sure to win your hearts. Furthermore, PDF is not the only target format - JPEG, PNG, BMP and other formats are supported by the program. Have multiple images to be converted to PDF? This batch image converter would convert multiple TIFF files into PDF. Save time and get rid of unwanted hassles easily! Get the freedom to crop, resize and rotate the files while you convert to PDF. How about setting the important properties like author and keywords in Adobe PDF format? Wish granted by the Total Image Converter! Further, you also get to specify the compression filter for PDF file. With the Total Image Converter software you are able to apply text or image watermarks to your output files. You can also add frame to your photos. 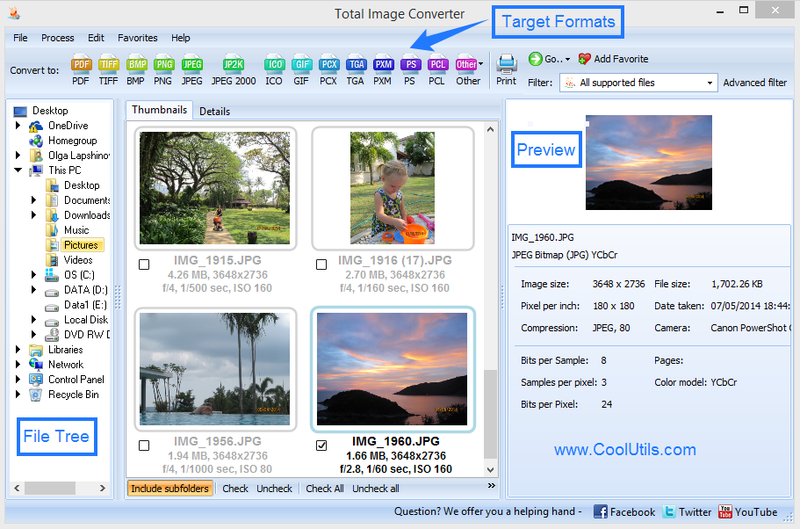 You are welcome to test a trial version of Total Image Converter free of charge. The evaluation period is 30 days. Save TIFF as PDF easily at a one-time cost of $24.90 and reap the benefits throughout! 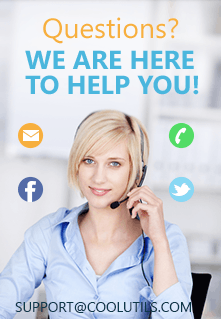 Free updates and tech support are totally free of cost. As simple as that! Convert your TIFF files into PDF today.